China has placed equipment designed to jam communications on a barren outpost in the South China Sea — a move apparently aimed at bolstering its dominance in a region where it has pushed extensive territorial claims with its maritime neighbors,The Wall Street Journal reported. ‘China has deployed military jamming equipment to its Spratly Island outposts,’ the paper quoted a U.S. Defense Department official as saying. The U.S. assessment is supported by a photo taken last month by the commercial satellite company DigitalGlobe and provided to The Wall Street Journal. It shows a suspected jammer system with its antenna extended on Mischief Reef, one of seven Spratly outcrops where China has built fortified artificial islands since 2014, moving sand onto rocks and reefs and paving them over with concrete, the paper mentioned. “China’s stationing of troops and deployment of facilities for homeland defense on the islands and reefs is the natural right of a sovereign nation,” Senior Col. Ren Guoqiang said. “It is not aimed at any particular nation. China will resolutely stick to the path of peaceful development and pursue a defensive national defense policy and proactively defensive military strategy,” he added. “The PLA’s EW units have conducted jamming and anti-jamming operations, testing the military’s understanding of EW weapons, equipment, and performance,” the report said, according toDefense News. 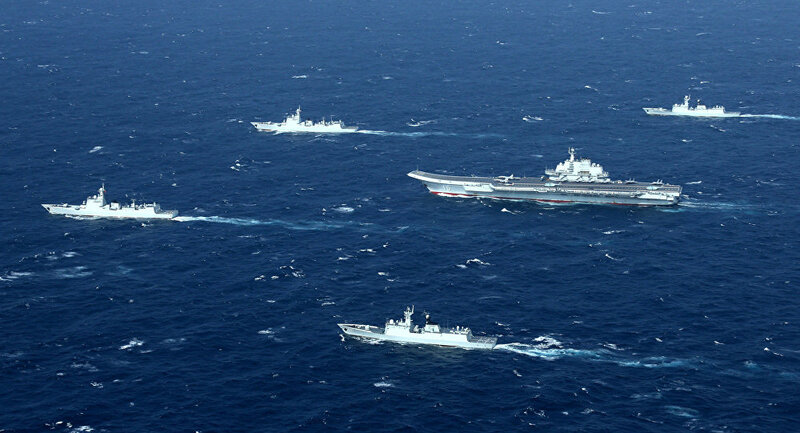 China’s muscle flexing has brought the U.S. and Chinese navies into increasingly close and frequently uncomfortable contact, including Cold-War-style cat-and-mouse games in the region that have increased international tensions.